Yet another faker strikes again. This time, the latest victim is wedding gown designer Joe San Antonio. I have worn her designs for this Bridalbook shoot and I really admire her style. Must be why this cheater of a designer decided to use Joe's work as her own. But while imitation may be a form of flattery, plagiarism is just plain stealing. It's stealing someone's creativity and hard work. RB: Do you have any message for people who plagiarize? Joe San Antonio: I'm not mad or anything , I just pity her. 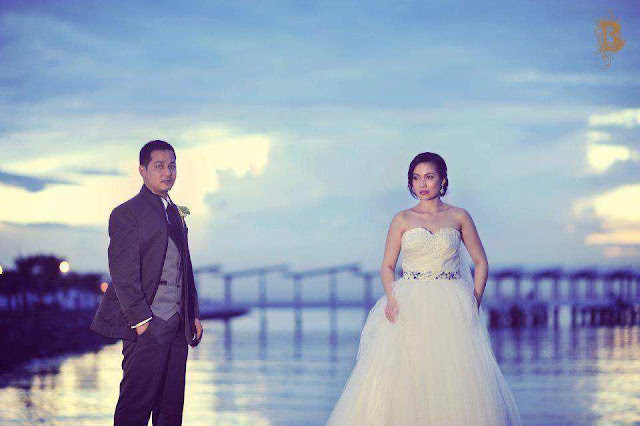 The clients who booked her and our actual brides who are posted in Sulit.com, for us,nakakakhiya (it's embarrassing) for our brides to be posted in an ad that they didn't sign up for. I just think as a designer it's best if we don't mislead clients that those creations are ours, kase kakaaawa naman for the future brides. And for people who plagiarize, I hope they find their real passion in what they do and be proud of what they can create. 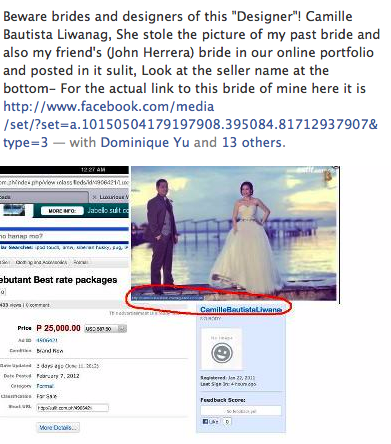 Now, if you are a supplier and have been a victim of plagiarism please add or link the evidence by commenting below. This is to warn future brides. We all should be vigilant in protecting our work and letting the truth prevail. For wedding suppliers who are starting out, do portfolio shoots. Collaborate with friends. There are a million and one ways for your to come up with your own work. Don't be lazy and just start grabbing work that isn't yours. That is just so wrong! It is a fact that every writer goes through various references before making his own creation, but he is not expected to pick pocket the content of others and claim it to be a freshly written piece of writing.